I read the article below titled “Polling Palin: The Unknown Unknown” and it made me think about why I started this blog (Alaskans4Palin)in the first place. I was asked by someone outside Alaska why it was that so many people in Alaska did not approve of Sarah Palin. I’ve heard this argument before, but was surprised to hear it from this particular individual as he was a Palin supporter and surely (I thought) he would know the truth. It was in the conversation that followed that I realized even those outside Alaska who support her, really believe we Alaskans, don’t. Why is that? Well, it has to boil down to two things: The media, and the polls. Most conservatives are aware of the term “Lamestream Media” (LSM) and it has become synonymous with the vicious attacks by the media on Sarah Palin. Yet, it is these same outlets that feed the misinformation conservatives are hearing regarding Sarah Palin’s Alaska supporters. Don’t believe it! We have 3 mainstream papers up here – that’s it. They’re all left leaning publications. We have Associated Press, Reuters and other national and international representatives here, but again, they tend to lean left. And who do you think feeds all the misinformation to those outlets outside Alaska? These very organizations. That is who is creating and giving the false message that Alaskans just don’t support Sarah anymore. I won’t give you examples of this because you all have your own left leaning, propaganda spewing local newspapers to verify my account. Besides, the article below gives a great explanation of how the media is culpable in the misinformation that guides many poll responder’s decisions. 1. Response rates to all types of polls are decreasing, as Americans become more aggressive about screening their phone calls. 2. Many young Americans — and an increasing number of older Americans — rely primarily or entirely on their mobile phones, which many pollsters do not call. 3. The proliferation of “robopoll” firms like SurveyUSA and Rasmussen Reports may in and of itself be a problem, or may exacerbate the other problems. 4. An increasing number of voters are most comfortable speaking a language other than English, and are unlikely to complete surveys unless the interviewers are trained in their native tongue. 5. Internet polling has yet to really mature. All of these arguments are exacerbated in Alaska. Everyone screens their calls – don’t you? Many in urban Alaska already use cell phones. As technology advances, many rural Alaska villages are seeing residents whose first phone ever is a cell phone – there is no regular phone service in many of these places, at least not in individual homes. I’ve participated in a robopoll and even though I am very active in politics, I wanted to hang up on this thing 2 minutes after it started, as I’m sure many do. Alaska is very very diverse in both language and ethnicity. The Anchorage School District, for example, has students who speak 60+ different languages. Often their parents speak no English and rely on these young children to translate for them. I doubt seriously this would include a political telephone poll. And finally, the internet. I write this to you from a satellite link internet service because there is no internet in most of Alaska, and it is horribly slow and intermittent so even if internet polling does mature, I will probably get “timed out” before I can complete the questionnaire. 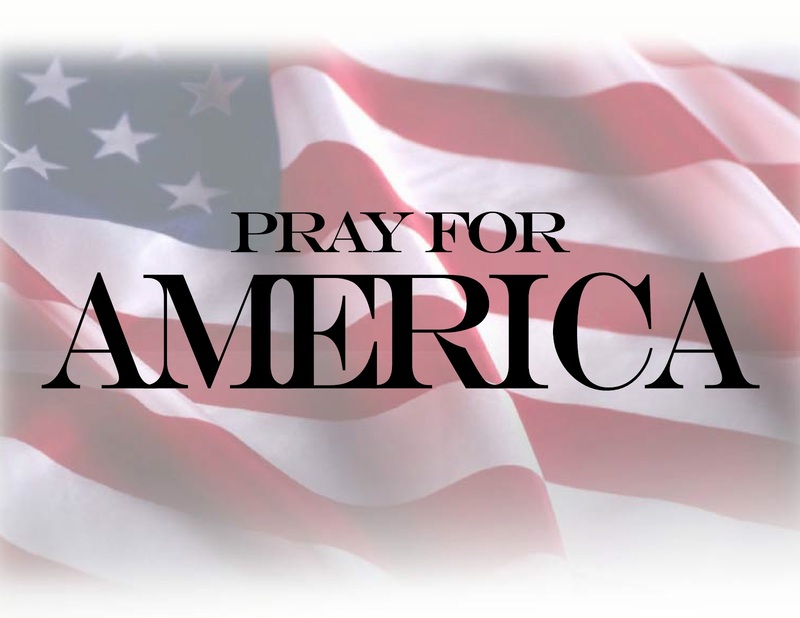 “The most difficult polls to read into this early are those associated with Sarah Palin. While supporters will claim bias in polls, non-supporters will be overly-excited about the supposed dislike of Sarah Palin. The key thing to remember about polling is information changes minds quickly. 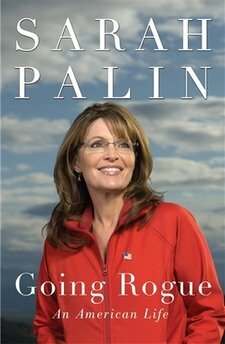 Reality is, of all potential candidates for 2012, Palin has the greatest opportunity to greatly improve her standings, especially given that expectations for her have been set so low. Sarah Palin is what I like to call “An Unknown Known.” While everyone knows who she is, opinions of her are mostly derived from media accounts of her, rather than by her own actions and words. If you poll 1,000 people about Sarah Palin, you have a built in percentage who follow her closely and like her, you have a percentage who may or may not follow her closely and loathe her, and then you have “the 70%” the vast majority of people polled will be those who pay attention to politics 2 weeks a year and all other information comes from soundbites and brief media reports, not by a regular interest in politics (non political junkies). The 70%: Most people polled about politics are not politically active or interested. When their information is derived from the media and soundbites, their opinion is skewed by the media. Most media reports about Palin reflect a common theme that she is “divisive” and “controversial” and “fringe” and “unelectable.” Therefore, the end result is that is what people know about Sarah Palin, and it negatively effects polling outcomes. 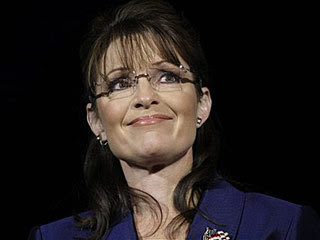 This is not to say that the polls are inaccurate when they show Palin with low favor-ability and election poll numbers. Indeed, they are accurate because it takes a snapshot of the public’s perception at that time (even if that perception is crafted by the media). But that is what creates the opening for people to change their minds about her. So folks, what else can I say. If you hear that Alaskans don’t support Sarah Palin, don’t believe it. It is as manufactured as the rest of the lies they “report” about her. She has a great deal of support from those who know her best – Alaskans. To read the rest of the New York Times polling article, please follow this link. We’d all like to know what Governor Palin’s 2012 intentions are. But is that any reason to write lies and misrepresent people? If you’re The New York Times the answer is yes, apparently. In an article entitled “Palin Keeps Position Clear and Intentions Vague,” Jeff Zeleny takes on her speech last night at the Reagan 100th birthday celebration given by the Young America’s Foundation. His article is mostly just a thinly veiled complaint that Governor Palin hasn’t yet filled him in on what road she will take in 2012. His title alone bespeaks his real beef, but he gives several other indications (emphasis mine). She did not, however, provide any fresh clues as to whether she will join the Republican fight to challenge President Obama or simply offer commentary from the sidelines. Before arriving here on Friday, Ms. Palin has been unusually out of public view in recent weeks, stoking curiosity about her political intentions. But to an audience of conservative leaders, along with several top-shelf Republican contributors, she did little to suggest that she is preparing for a presidential campaign. There is, of course, outsized curiosity surrounding Ms. Palin. And in recent weeks there has [been] growing frustration from many Republican activists that she is not making any obvious moves toward deciding whether to run. Even though none of the prospective presidential contenders have formally declared their candidacies, there is a robust amount of behind-the-scenes activity under way, particularly in the courtship of advisers, activists and contributors. Yet Ms. Palin stands alone in her approach, employing an unorthodox style that offers few clues as to whether she plans to enter the race. Deal with it, Zeleny. You will find out what the Governor’s intentions are when she chooses to reveal them. And let’s be honest: had she made some grand announcement, the title of your article would have been “Palin Usurps Reagan Centennial to Promote Her Own Ambitions.” He then would have gone on to excoriate her for being so self-indulged that she failed to recognize that the night’s event wasn’t about her but about Ronald Reagan. Come on; you know I speak the truth. For Ms. Palin, a speech on Friday evening to a conservative group that gathered to pay tribute to President Reagan offered an opportunity to connect herself to the most iconic figure of the Republican Party. Yet she did not use the appearance — one of the highest-profile Republican platforms in months — to move beyond familiar criticism or attempt to prescribe a new or specific remedy for what she sees as missteps in the Obama administration. Mr. Zeleny either didn’t listen to the speech, or he has a problem identifying anything outside of a new government program as a “specific remedy.” Governor Palin offered many remedies to ills that face our nation. She mentioned domestic energy production, for one. She mentioned cutting corporate tax rates. She also talked about cutting government “back down to size,” and cutting overall spending. She discussed reforming entitlement programs, reducing over-burdensome regulations, and ending the cronyism that is corrupting our system. Perhaps Mr. Zeleny should listen to the speech again, or learn that not every solution comes by way of more bureaucracy. Presidential contenders, regardless of their celebrity, are put through a gauntlet of rituals that require a delicate air of patience as they deal with their admirers. Prospective candidates, particularly if they are courting supporters, routinely sit through dinners and mingle with guests. 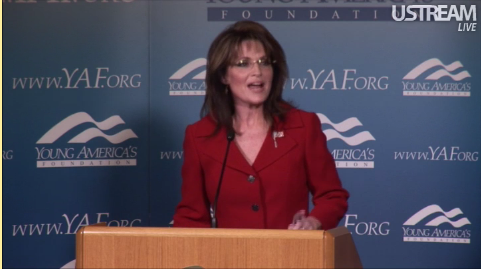 But in her case, Ms. Palin entered the room only for her speech and left immediately after. The appearance here was marked by tight security and rigid rules, with guests admonished to stay in their seats when she arrived. Too bad he is annoyed by the level of security, but with haters threatening her life as they do, he’ll just have to get over that. As for not taking time to court supporters, either he wasn’t paying attention or he’s blatantly lying to his readers. Governor Palin agreed to participate in a photo shoot after the speech, and that is exactly what she did, posing with each guest. She may have left the room, but she did not leave the building. She spent time availing herself to the people who came to hear her, see her, and spend time with her. As always, she was gracious to all who were in attendance. Kate Obenshain, vice president of Young America’s Foundation, announced the photo shoot immediately after the Governor’s speech, so I’m not quite sure how Jeff Zeleny missed it. Of course, he most likely didn’t miss it. It’s just that reporting, “After speaking to the crowd on issues vital to the future of America and shaking hands with attendees, Governor Palin then spent over an hour posing with people” wouldn’t have fit his narrative, now would it? I wonder if The New York Times will correct the record. I doubt it, but maybe they’ll surprise me.